This 10 cm “tile” sized antenna works well in its design range for the 2.45 GHz ISM band. Use it for WiFi, Bluetooth, or any other service that uses this universally popular unlicensed radio band. 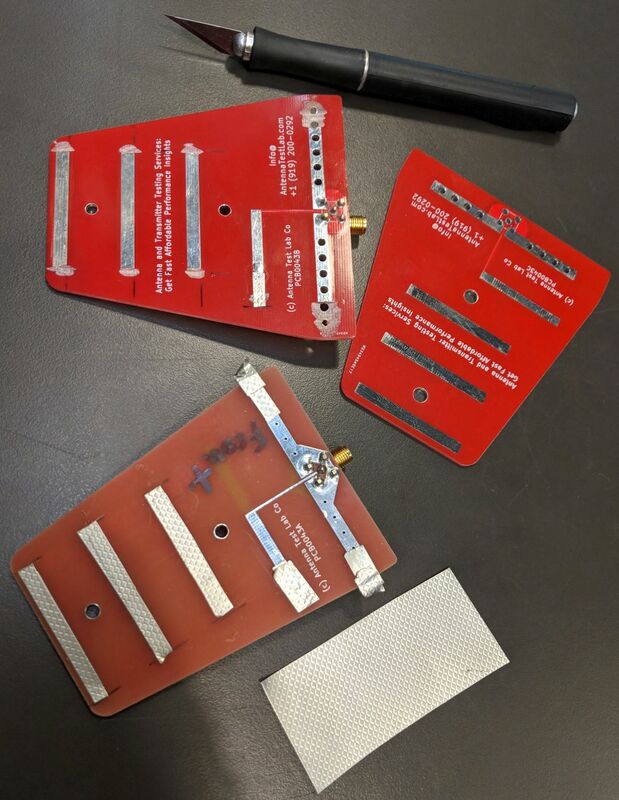 Performance is great for an inexpensive antenna built on low price FR4 PCB material. 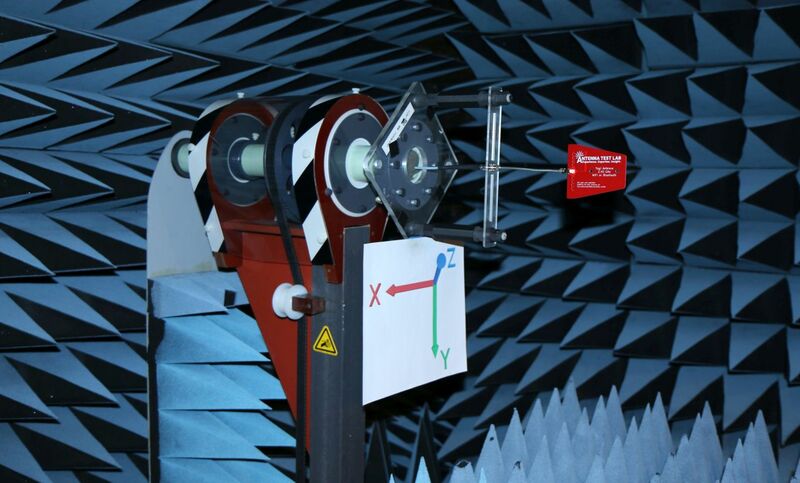 It has a forward gain of 8 dBi, a directivity of 9 dB, and an radiation efficiency of – 1 dB (80%). 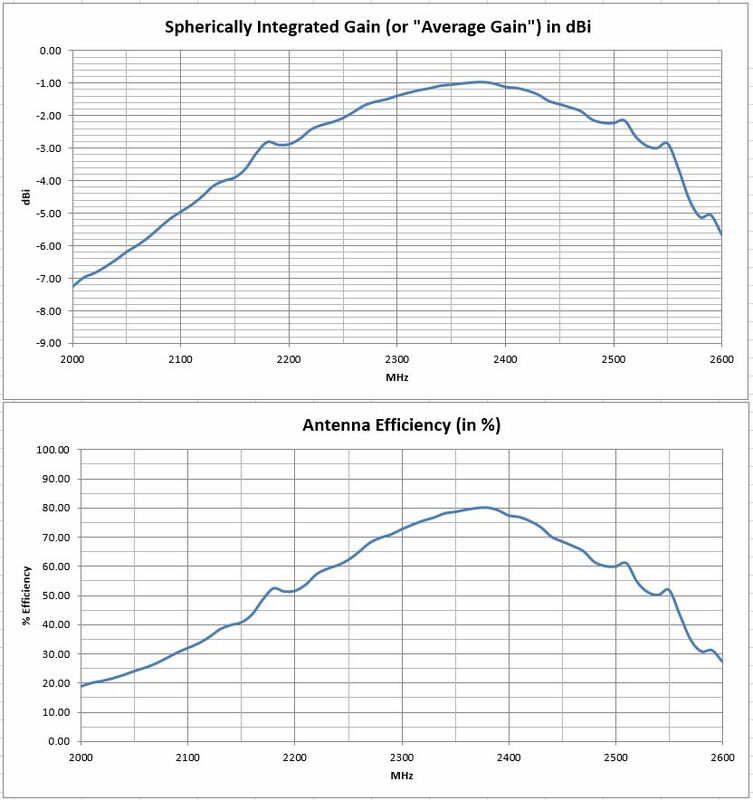 These three numbers help illustrate the interrelationship of gain and directivity, which are related by efficiency. If the antenna were lossless (perhaps a better PCB material or all-metal construction) then the directivity would still be 9 dB. 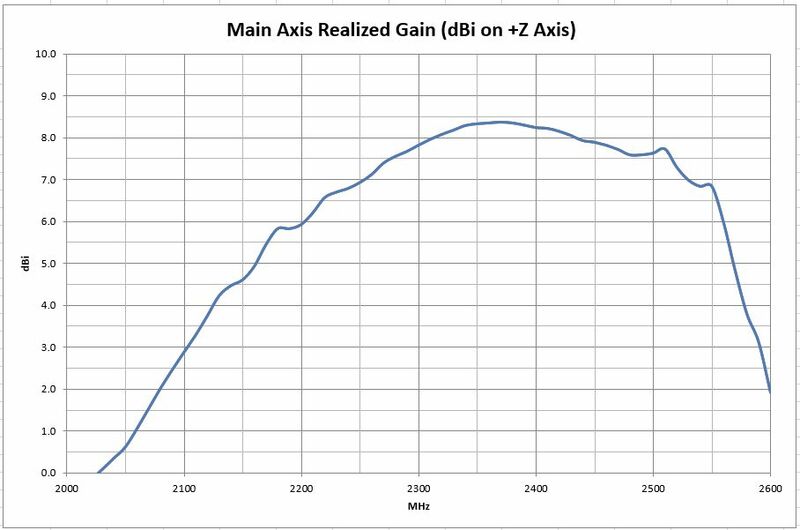 However, in this lossless case, the gain would be 9 dBi. It is fed by a standard “5-pin” PCB mounted right-angle SMA jack, oriented away from the back of the antenna as shown. A full Excel spreadsheet 3D gain results report can be downloaded HERE. 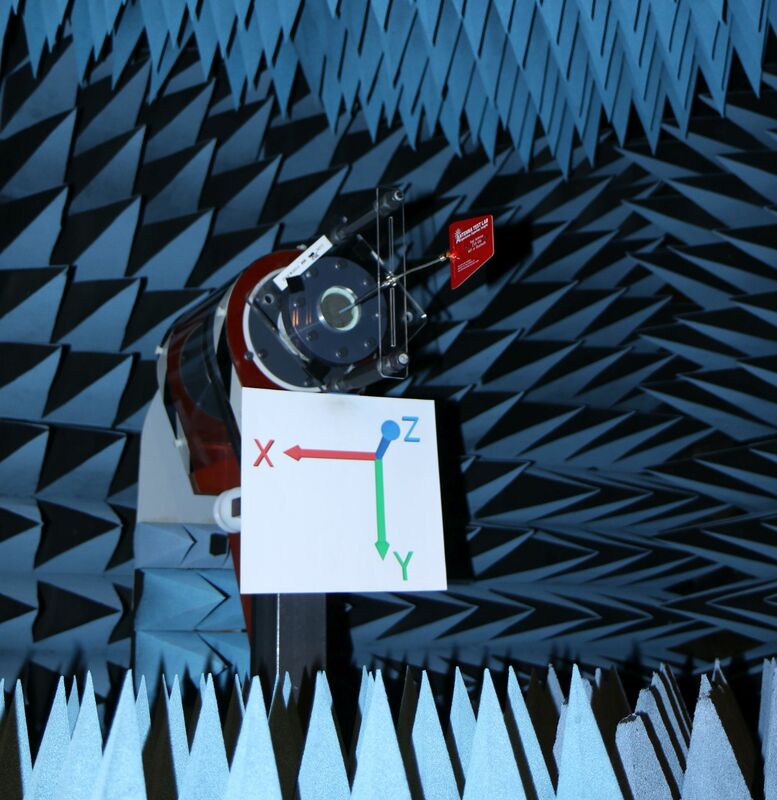 This test program covers full 3D spherical gain patterns at 61 stepped frequencies from 2000 MHz to 2600 MHz in 10 MHz steps. 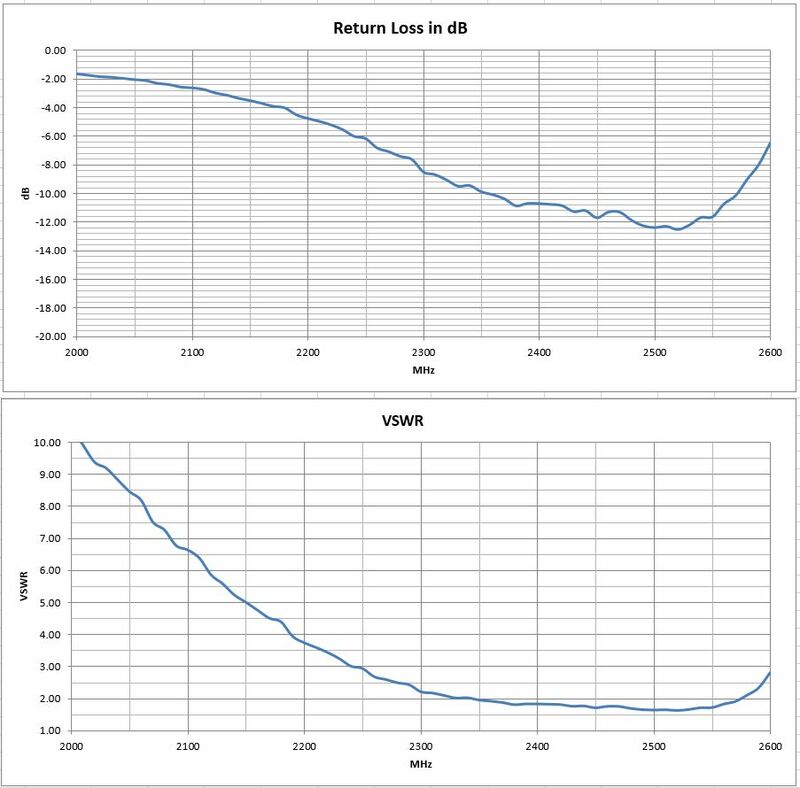 The test report details higher level performance data, such as: Forward Gain, Peak Gain, Radiation Efficiency, and VSWR/Return-Loss vs Frequency. The full set of 61 spherical plot-files can be downloaded HERE in “zipped” format. Unzip and use this plot-file along with our downloadable 3D plotting software HERE. 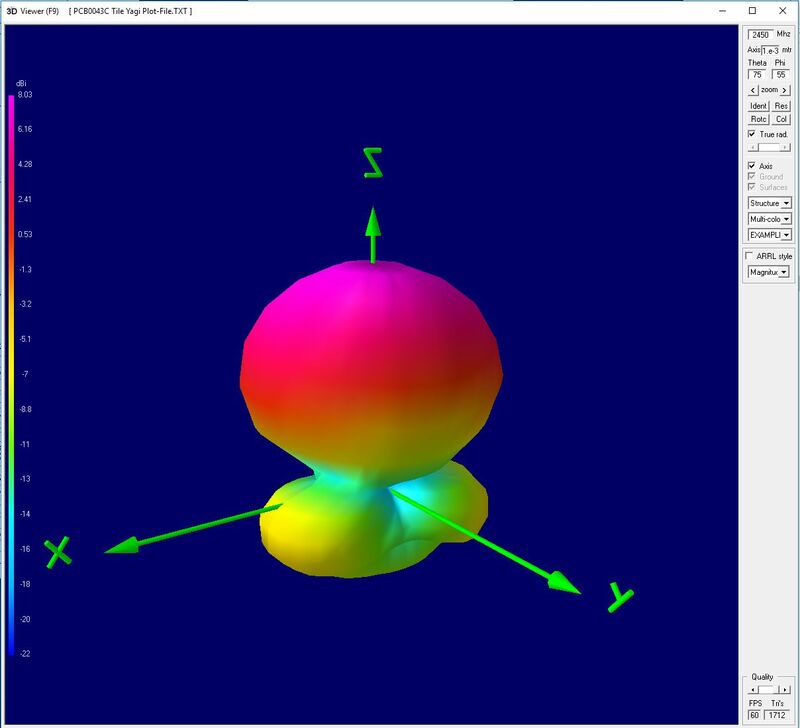 Then create rotate-able/scale-able 3D plots on your own desktop at any test frequency.